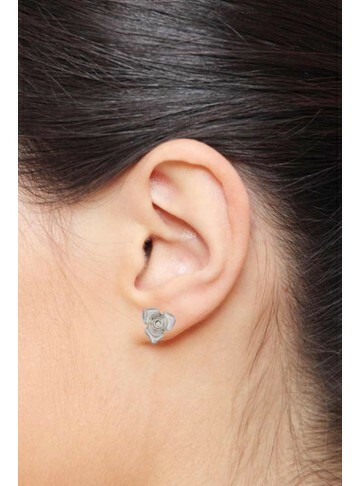 A unique pair of studs with zircons all around it and strokes arising from the centre. 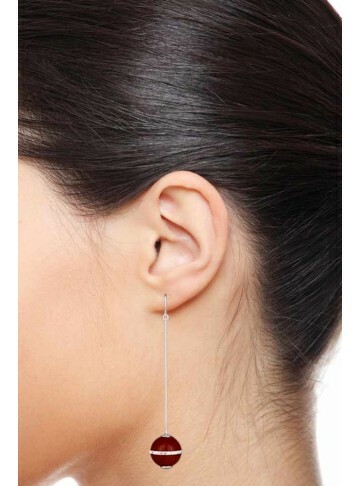 Truly beautiful, this stud earring is timeless! An all time favorite at MirrorWhite, these floral C shaped balis are lightweight and trendy. Wear it to work or for a casual date with your girls. Cute little drop earrings in a flower shape with a pink pearl in the centre. Truly unique! Tiny little flowers in a turquoise stone with little silver visibility gives this earring a very cute look. Gift it to your girlfriend and she will adore you for it. A cute tiny pair of oxidised floral earrings that dangles right below the ear. Perfect for your girl or for you on a casual day out. 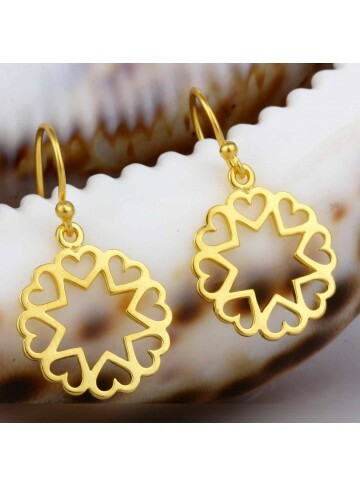 A lovely gold plated silver earring with tiny flowers placed together in symmetry gives it a nice clean look. You will love the simplicity of the design and intricacy of the work in this one. A funky pair of floral hoops in 925 silver with a beautiful handmade flower at the edge. The two-tone effect adds to its beauty making it a a great choice for your earring collection. The beauty of these leaf earrings lies in the colour of the gold plated matt finish. Handmade in 925 silver by our best craftsmen these leaf earrings are ideal for an evening out. A lovely earring in a floral shape that doesn't necessarily give you a flower feeling. Thats the beauty of this two tone petal earring, handmade in 925 Silver by our master craftsmen for the latest floral collection. Who would have thought our famous chatai could be in the form of a earring. This two tone chatai earring is funky and can be worn with your western outfits. A lovely pair of floral earrings with a two tone effect and so many petals, handmade by our master craftsmen for the floral collection. One of its kind, this earring can make you feel special because of its limited quantity. A trendy pair of floral earrings in matt silver finish, handmade in 925 silver with gold plated pollen beautifully captured in this earring. A truly unique piece from our Floral Collection, these earrings will match any of your western outfits. 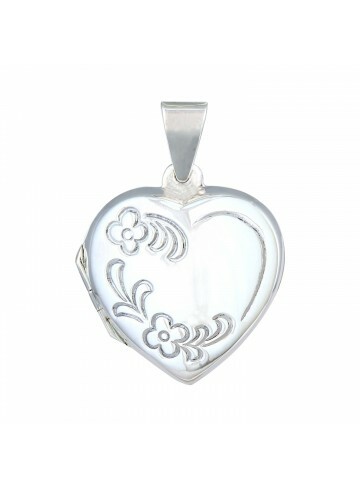 The perfect gift for your girl this valentines day, a nice lovely engraved floral design that opens up so you can add both of your pictured. Old school but still so precious. She will love owning it! 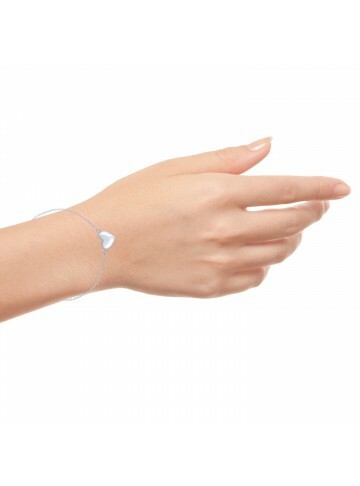 The chain seen in the image is not included in this product. 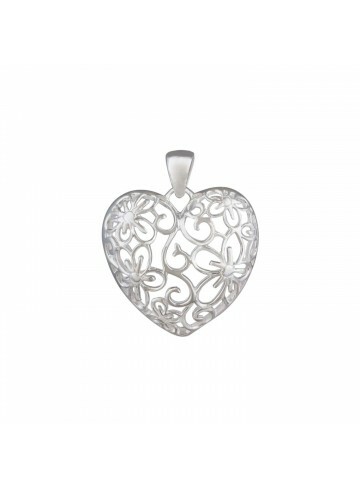 A beautiful heart pendant in silver with filigree work which can be matched with one of our chains to give her the perfect gift. The chain seen in the image is not included in this product. 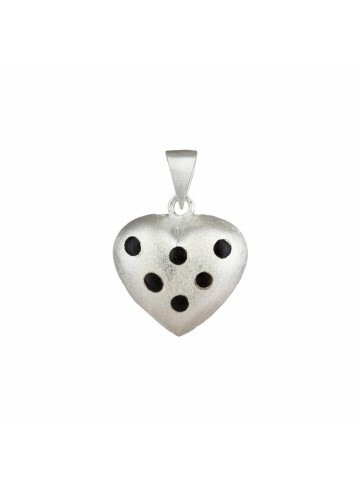 A nice silver solid pendant with black enamel work for the girl in your life. It's cute, unique, and something she will treasure always. The chain seen in the image is not included in this product. 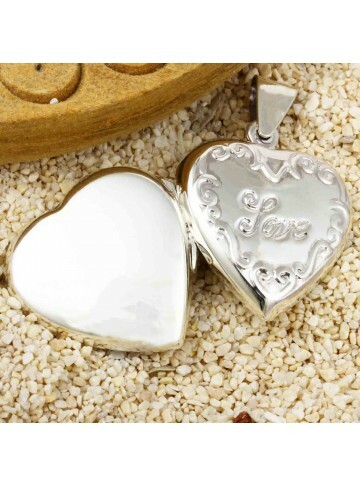 What better way to show your love than to gift her this lovely engraved love pendant. The beauty of it is you could also add a picture of you two. Truly special and something she will cherish forever The chain seen in the image is not included in this product. 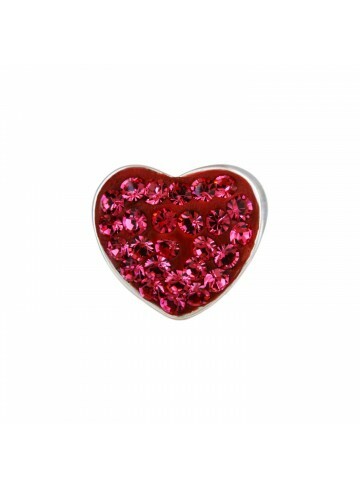 Tiny pink zircons form the heart of this pendant giving it a cute feel. Girls love pink and there is no two ways about it, so she is definitely going to love this heart. The chain seen in the image is not included in this product. 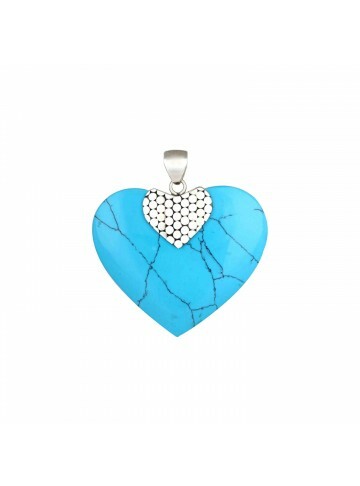 A beautiful blue turquoise pendant is the perfect gift for your girl this valentines day. Match it with a silver chain and she is sure to be swept off her feet. The chain seen in the image is not included in this product.